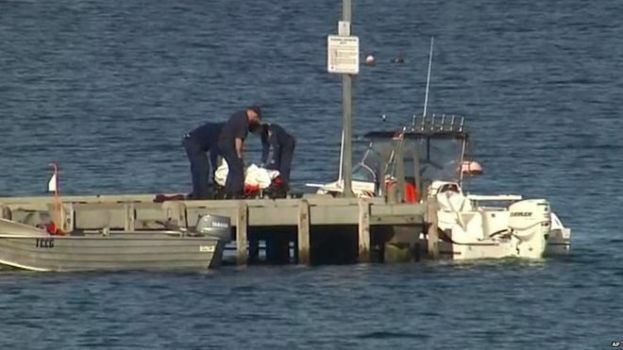 A diver has died after being attacked by a shark in front of his daughter, off the Tasmanian coast in Australia. The pair were collecting scallops near the town of Triabunna on Saturday morning when the attack happened. The woman returned to their boat with the shellfish, but became concerned after her father, who was in his late 40s, did not resurface. She jumped back into the water to check on him and saw him being mauled by “a very large shark”, according to police. “She immediately returned to the surface where she raised the alarm through setting off a flare and by making an emergency phone call,” said Tasmania Police Inspector David Wiss. Sailors in the area rushed to the scene and hauled the man from the sea using the air line he was attached too. But his injuries were too severe and he was pronounced dead.